This project was a collaboration of all the service providers in the Sunnydale neighborhood to stress the importance of school and education. Among those present at the event were Mayor Edwin Lee and Police Chief William Scott. Mercy Housing led this joint effort. 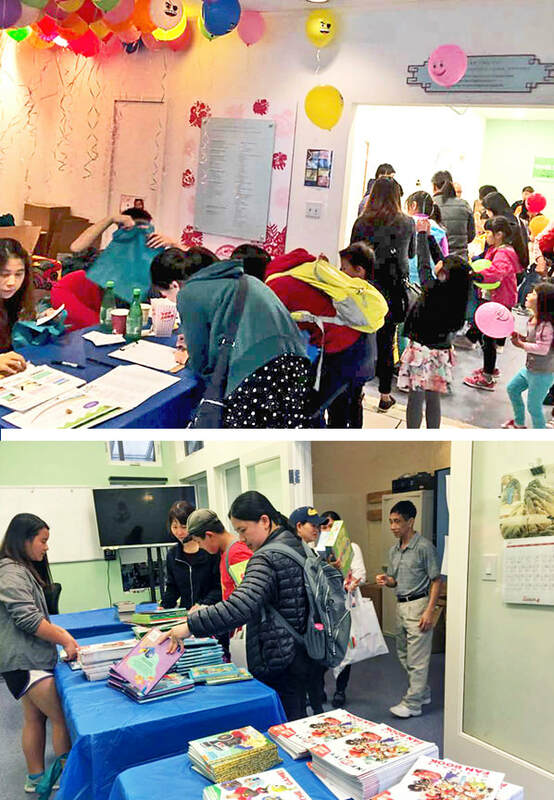 APA's Visitacion Valley Strong Families and the Boy & Girls Club were responsible for conceiving the event's educational component. Planning began in June. Flyers were distributed to Sunnydale's development as well as surrounding businesses to get the residents' attention. Each organization in the group had a hand in providing resources, prizes, and materials for the event. The event day started with residents of Sunnydale's development helping to clean up the neighborhood. After lunch, the kids received new backpacks, enjoyed games, and even got haircuts if so desired. Over 500 backpacks filled with school supplies were given out. Information for useful resources for the participating families was disseminated. An event for our Chinatown neighbors. All APA clients are welcome. 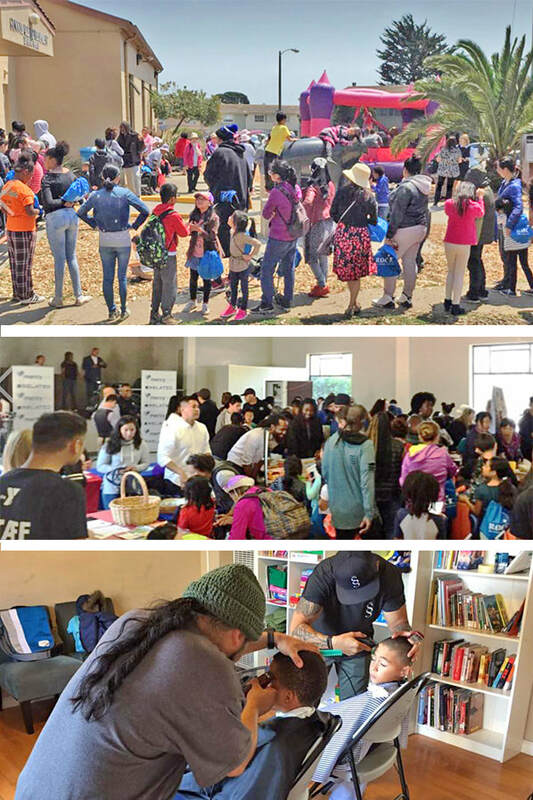 An event to get our preschoolers to 8th graders ready and excited about going back to school by providing them with new backpack, school supplies, and books. APA staff and volunteers were there to help with disseminating information and resources for parents to help their child achieve academic success for the upcoming school year. This was also an "open house" for us to introduce our program and services, and provide an opportunity for them to sign up and register for upcoming workshops, classes, support groups, and individual/family counseling and therapy sessions. 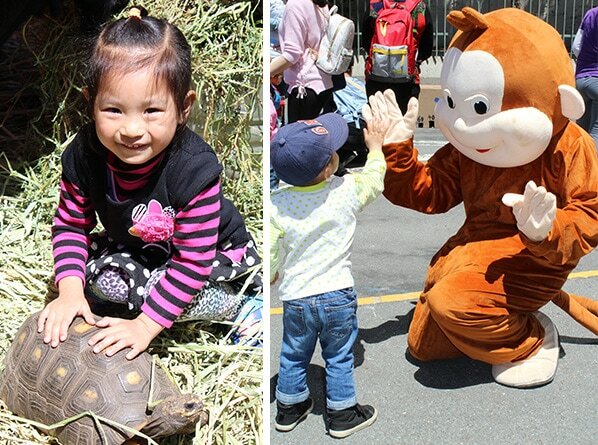 The event was promoted at schools in Chinatown/North Beach. Parents also spread the word via social media. The turnout doubled our expected number of 250. We made arrangements for the latecomers to return at a later date in order for us to replenish our backpack and school supplies. APA's 30th Anniversary Gala in July, honoring APA founder Dr. Don Wong. Over 300 attended our 30th Anniversary Gala. 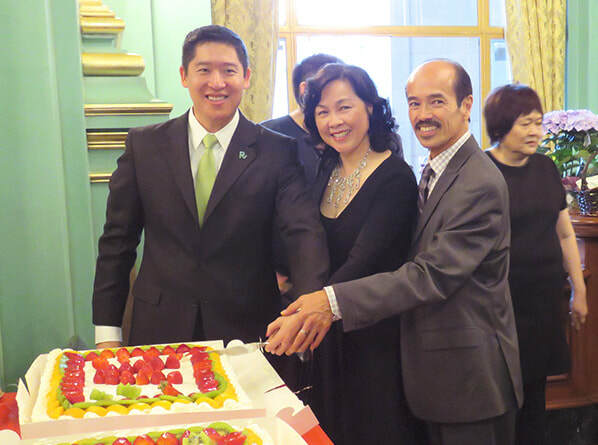 In addition to our donors and supporters and their guest, the family, friends and associates of APA founder Dr. Wong, former APA Board members, management, and staff were at this celebration. APA Board President, Cary Chen, Board Chair, Rose Chung, Executive Director, Amor Santiago cutting one of the three APA birthday cakes. 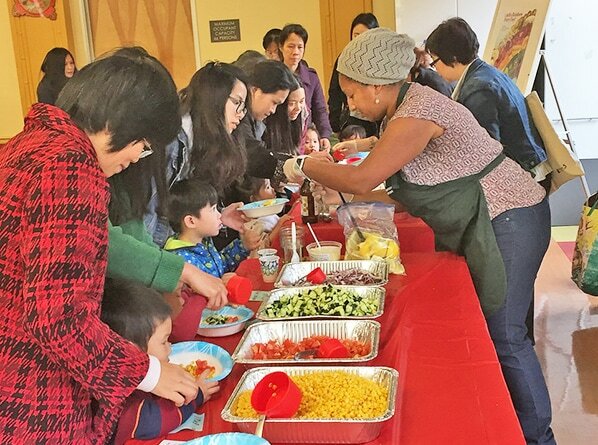 A free community family event featuring, authentic ethnic food, multi-cultural demonstration, health information from California Pacific Medical Center and tons of interactive activities for children of all ages. Community organizations were also on site to share important community resources! A fun day for the children and for the adults too. Tasty Tuesday During "The Week of the Young Child"
On “Tasty Tuesday,” Ms. Yennie Lo of San Francisco-Marin Food Bank led an interactive cooking workshop for families, featuring healthy recipes that parents/caregivers and their children can prepare together. Children must be at least 3 years old to join the workshop. Child care was provided for children under age 3, along with early literacy activities. Learn how to prepare healthy food with your young children.